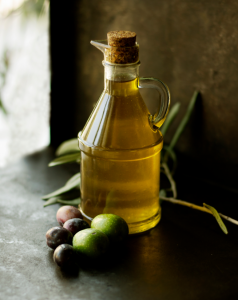 Home › Articles › Will Natural Oils Make Your Skin Oily? Will Natural Oils Make Your Skin Oily? If you have oily skin, then you probably spend a lot of time on your skincare routine, trying to cut down on the amount of sebum (natural oil) your skin produces. Whether you find yourself spending time looking for the best face wash for oily skin or figuring out how to treat stubborn acne, having oily skin can be a real struggle. That’s why it may come as some surprise to you to see recommendations for using natural oils on your skin, in a facial product, or on their own. Oil cleansing, serums made with natural oils, and trendy ingredients like virgin coconut oil and argan oil are all the rage for achieving beautiful, glowing skin. But won’t these natural oils make your skin even oilier than it already is? Not necessarily. Let’s take a look at the different ways natural oils can be used on your skin—and find out if these methods will work for oily skin. Today, many facial products are starting to be formulated with natural oils, even facial cleansers. Why? It’s simple. Traditional facial cleansers are made with harsh detergents, which strip skin of natural sebum and dry it out. If you have oily skin, that might sound like a good thing. However, your skin won’t react well to these drying cleansers, and will actually produce more oil to compensate for the oil lost during your daily cleansing routine. That’s why the best natural face wash for oily skin is one made from natural oils. Natural oils will help balance the skin and prevent over-correction by the skin, leading to oiliness and breakouts. Even people with oily skin can benefit from these types of cleansers, which do a great job of gently removing dirt, excess sebum, and bacteria. There are so many products available for skincare that it can get overwhelming. However, even people with oily skin need to follow up facial cleansing with a serum or moisturiser, to keep the skin from drying out and causing it to react with more sebum production. If you have oily skin, all you’ll probably need is a skin serum: a blend of natural oils that will keep the skin soft and protected without adding too much extra oil to the face. Some people use pure argan oil, which is appropriate for people with oily skin on its own, but there are also great serums available, made from natural oil blends, like the Biconi Glow Facial Serum. A serum is a light, one-step moisturising solution for people with oily skin, promoting soft and healthy skin without making skin feel oily. To many people with oily skin, the whole concept of oil cleansing sounds crazy. Essentially, oil cleansing is nothing more than cleaning your face using nothing but pure oil. The oil dissolves the natural oil of the skin, and people who practice oil cleansing say that this leaves you with soft, radiant skin, because the process doesn’t dry out the skin. Oil cleansing often uses a blend of oils—some common ingredients include sweet almond oil, castor oil, grapeseed oil, avocado oil, and hazelnut oil. Different people swear by different oils, and there’s a lot of debate as to whether oil cleansing works at all. Some people find that oil cleansing is the best face wash for oily skin, as it balances and protects their skin beautifully, while others haven’t found it to be effective. People of all skin types use the oil cleansing method, with mixed results. Excess oil production can cause a lot of problems for your skin, including acne. But don’t think that oil is the enemy—our skin needs some oil to protect it from the elements and prevent it from drying out. Natural oils can be a great way to calm your skin and help it become more balanced over time. However, it’s important not to overdo it, and to make sure you are choosing an oil that is suitable for oily skin. Oily skin should not be treated with comedogenic oils, oils which have a tendency to clog the pores. For people with oily skin, a lighter option like organic argan oil is a much better option. Non-comedogenic oils won’t clog pores, but they will help to give your skin the radiant glow you’re looking for. Looking for the best face wash for oily skin? You don’t have to go as extreme as oil cleansing, but a facial cleanser made with natural oils, like the Biconi Natural Face Cleanser & Wash is the best choice for calming oily, acne-prone skin. Following your cleansing routine, treat your skin to a powerful serum to help your skin repair and balance. Biconi Glow Facial Serum is made from a potent blend of cold-pressed oils, many of which are certified organic. If you have oily skin, don’t worry—you can get a lot of benefit from using natural oils. Just be sure to buy your products from an ethical company that produces high-quality products. While it’s always better to choose organic products when possible, it’s more important to make sure that oils are cold-pressed, and not refined using chemical processes. Be kind to your skin by always choosing natural, pure skincare products. At Biconi, we respect both Mother Nature and your skin!